Riverside Graphics & Web Design focuses on our client’s actual need. We are not another “Do It Yourself” service. We do not offer templates for your own website. We do the work for our customers. We research your need and we present ideas for your design and development. We care about your growth and take passionate pride in our work and what we can do to promote your business. Click on the featured websites below to view the entire site. 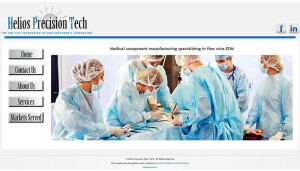 In our first logo and website, which is the website for Helios Precision Tech, the client is a medical device component manufacturer. 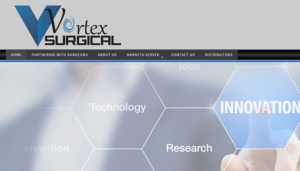 They wanted the look of their logo and website to have a clean medical feel along with showing their technical ability. 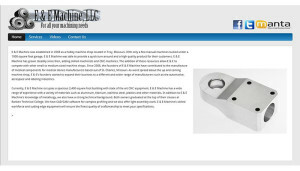 In our second image and website, we were promoting a local machine shop. E&E wanted to showcase their technical ability across the board. Our logo concept was quite complex. They wanted to show the diverse precision of their skill as it related to small components of any sort. They wanted to show their precision tooling and ability to create precision parts using high-tech machinery. The website followed suit with their logo concept as we were able to show case the different high-tech precision components that they are capable of producing. Our third website is very special to us. 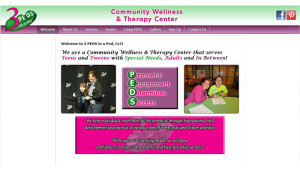 3 Peds In a Pod is a local community center that caters to teens, in-betweens and adults who suffer with special needs. These occupational therapists use their amazing skills to teach those with challenges how to live in the day-to-day world. They teach classes for young people with special needs to live life like anyone else. They have so many amazing programs and teach independence. As a bonus, the classes may offer caregivers a bit of a break and knowing their loved one is in good hands. While we didn’t design their logo, we used the colors suggested by the client and incorporated lively picture galleries of these ladies doing their work with children. We are continuously improving on this website to make it more user-friendly for signing up for services, etc. 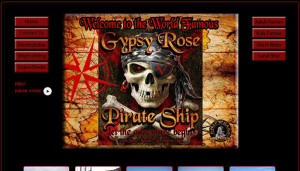 The Gypsy Rose Pirate Ship was a customer, in which we had been trying to get the business for a long time. We saw their pirate ship host parties along the river and felt that their website needed some updating. Many of the river businesses were inspirations to us. We were just sitting down to do some brainstorming on 3 Peds, when out of the blue we get a call from Captain Tim! They needed a working website and fast! The boat show was coming up at the end of the month and they needed something good and quick. They already had the design in their mind and we didn’t come up with the actual layout, but we listened to what they wanted and they told us we gave them exactly what they were looking for. 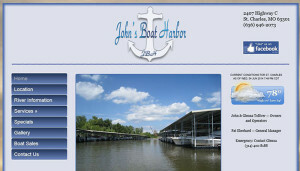 John’s Boat Harbor is where we hail out of. I could look them up on Facebook but they didn’t have a working website. We did a little bargaining with them. 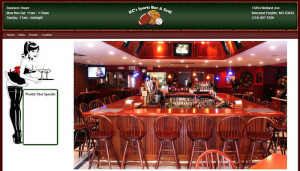 We wanted to give them a beautiful website in hopes to increase their business. Glenna wanted to “jazz it up” a bit and give it some sass. We were very happy with the outcome and we learned a lot from creating this website. Both of these two restaurant designs were originally supposed to be proposals to two different restaurants. Unfortunately, one decided to use a do-it-yourself site and the other contracted to another company before we could propose. 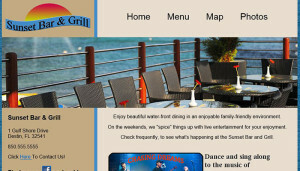 We decided to change the names of the restaurants and create the websites anyway, so we can show what we can do with a restaurant/bar and grill site. We had fun with creating them, learned a lot and we now have more for our portfolio.